five.one.five.zero.zero. : A Trip to Scandinavia! When I first moved to Europe over a year ago now, I never realized exactly how much traveling I would be lucky enough to do. I'm up to 15 countries that I've visited during my thirty five years. This trip to Scandinavia added two more. Copenhagen is only a two hour direct flight from Milan, so it was easy enough to make a journey here for our first long weekend of the year! (Waiting until November 1 for that took a really long time!) We rented an apartment through the AirBNB website. It had a pretty good location because it was within just a few minutes walk to a metro station and we navigated around the city fairly easily. There was a nice bakery on the way from the apartment to the metro that we stopped at each morning. The Danish had a better selection of "danish" to choose from than we see in Italy- surprise! So delicious! 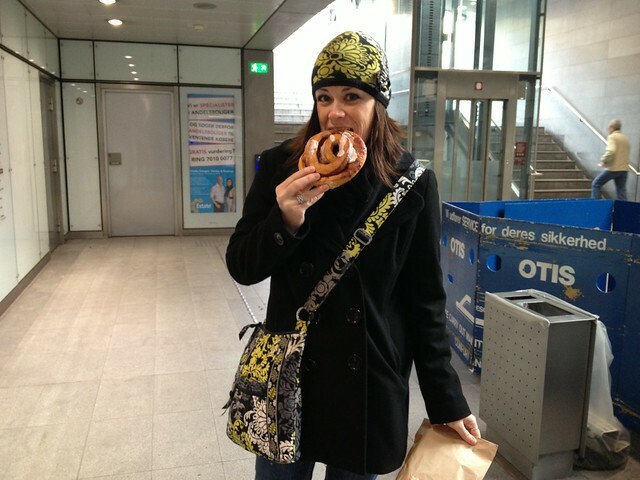 Eating Danish in the metro station! Our morning routine! 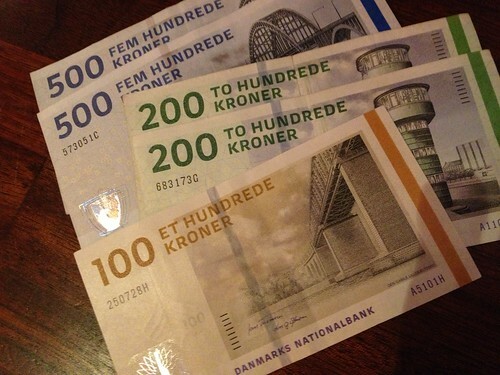 The money in Copenhagen was difficult to adjust to because the amount are so much larger. One euro was worth about 7 kroner, so I spent my week dividing everything roughly by that number to guesstimate how much it really costs. Out one evening for drinks, the bill totaled 140 dkk! Thank goodness that wasn't in euros, since it was only three drinks! Denmark was much friendlier towards credit and debit cards than Italy is and that helped out a lot! 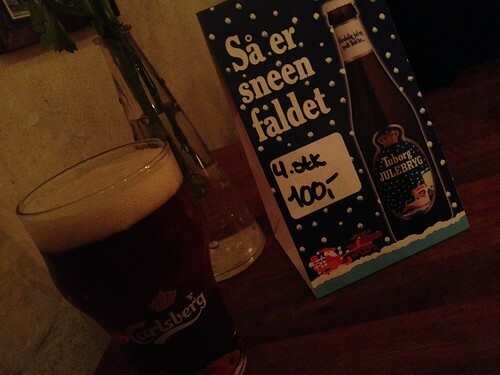 The local brewery, Carlsberg, produces Christmas beers each year. While we were in Copenhagen the seasonal beers were released. The bars have parties to celebrate and a lot of people over indulge. We sampled the Tuborg and Jacobsen version and enjoyed a few glasses. It was great to experience a local event like that! Since Malmo is only a 30 minute train ride away we were able to add Sweden to the countries visited list. We went on Saturday only to discover that it was a Swedish holiday and most shops were closed. Note to self- always check for local holidays when traveling! We wandered around for a bit, took some photographic evidence of having been there, had a great lunch, and headed back to Denmark. The girls almost left me behind when my credit card and debit card options all failed to work in the ticket machine to get back to Copenhagen. Thankfully, Kate came to my rescue and helped by my ticket! Overall, Copenhagen was a great place to visit. The hardest part for us seemed to be finding places to eat- it was all seemingly expensive or too nice a place in your sightseeing clothes or take out- so that required a little navigating. While Copenhagen is a budding scene for major foodies, eating weird ingredients is not part of my regular dietary plan, so I like to stick to most of what I can identify! The best part of Copenhagen also involved food. Kate and I found this great market on Sunday afternoon that was very reminiscent of Madrid's Mercado di San Miguel, where each vendor serves and sells different things and you can buy portions of any size. We wandered through here that afternoon and indulged in some hummus for our lunch! So good! 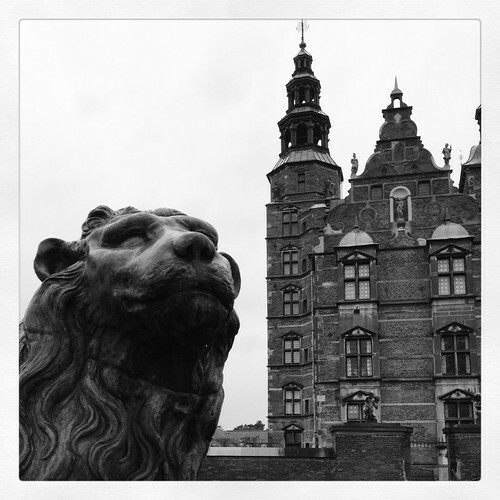 A favorite picture of Copenhagen, edited in Instagram. If I get another opportunity to travel to the Scandinavian region, I want to go during the summer! While the weather wasn't terrible, it was a bit cold and rainy and gray! I like seeing the sun more! The sun did come out on our last day! 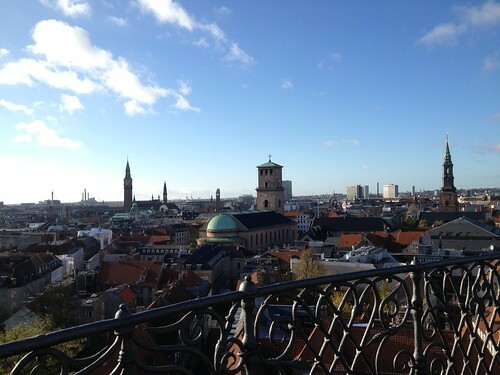 A view of Copenhagen from the Round Tower. Today Kate and I are going to Florence for the night and I'll be celebrating Thanksgiving in Prague. I've heard it's a great city! And, of course, the countdown is on for Christmas break! We're under five weeks now!